Thank you for a wonderful 2016 season. We look forward to serving at home and at the track in 2017. We cherish your support and prayers as we prepare for all God will do in the new year. The children will take center stage at Bristol Motor Speedway on Saturday, August 20 to sing the National Anthem! 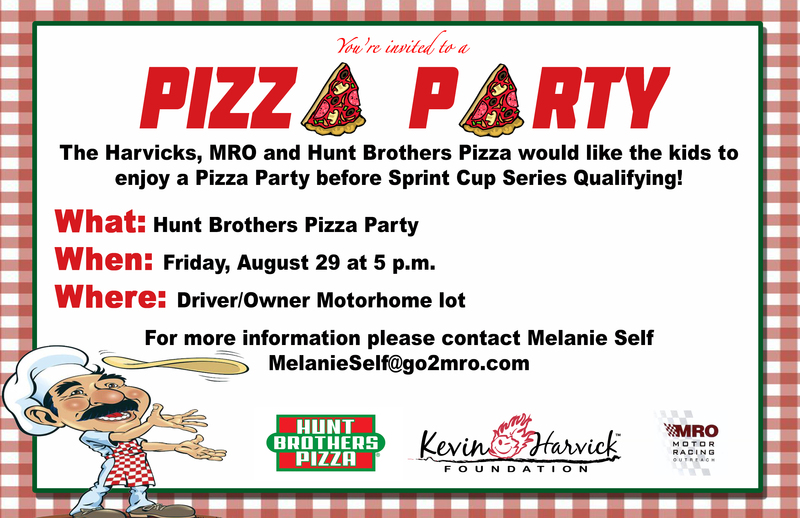 ALL racing families are invited to join us! Kids of all ages are welcome to sing! 1) If your spouse works in the sport but you do not have a NASCAR credential or are unable to attain one, you can still join us! If you’re planning on coming without one, however, you must let us know! Bristol Motor Speedway is providing a limited number of pre-race passes for parent(s). We will give those out on Saturday at the CC beginning at 5:30 pm, when we sign the children in to sing (you must have one to go inside the track). Unfortunately, there is no parking in the Driver/Owner lot, but you will be able to get inside. We are parked in the back corner by the playground. If you come without a credential, you must have a pre-race pass, which will allow you to walk inside the track for pre-race activities and the National Anthem. As soon as pre-race activities are over, you must leave the infield. We would love to have you stay with us for the night – we have chairs outside as well as drinks, snacks, a restroom, and one television that shows the race. As we say at the CC, our house is your house! 2) We will take a trip to the suite on both Friday and Saturday. Friday is reserved for children ages 2.5 through 4th grade. Saturday is reserved for students 5th grade and up. Parents and others may be able to accompany their child only if we have extra tickets. We get a limited number and priority goes to the kids both days. We should know about 15 minutes prior to the start of the race if we will have extra space available. If you have a student who wants to come on Saturday, please let me know so I can add them to the RSVP list. 3) We do offer supervised childcare after the National Anthem performance for children who are 2.5 years old through the 4th grade. We’d love to have your child(ren) stay with us! The track provides pizza for dinner; we also have tons of toys, sno-cones, pop-corn, and cotton candy – fun will be had by all! If you’re interested in leaving your child with us, I will have a release form at the Community Center. Our supervised care closes at the end of the race. We look forward to seeing many of you next weekend! Please let Miss Melanie Self or myself know if you have any questions or if there’s anything we can do for you or your family! Blessings to all!